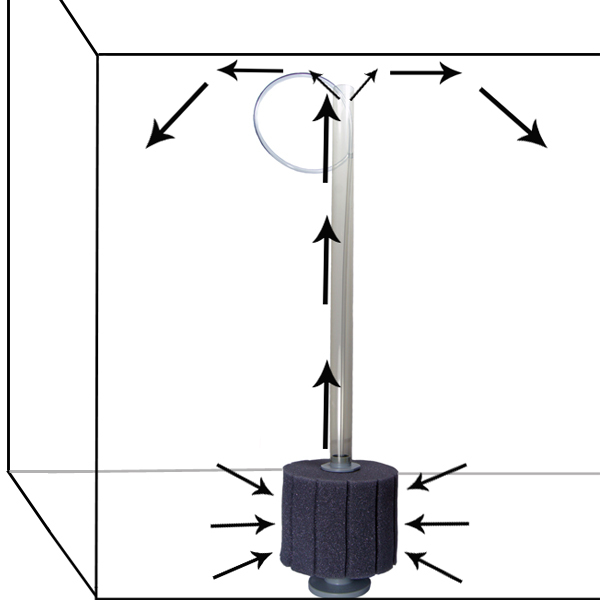 High Performance Sponge Filters such as the Hydro Sponge (or Hydro Pond #2) can have improved circulation patterns in deep aquariums with the use of "Hydro Lifts". 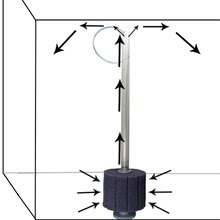 A Hydro Lift extends the flow pattern in deeper tanks (generally over 16 inches) by extending the water outflow higher in the aquarium (as close to the surface as possible for maximum results). It is noteworthy that this is not always necessary in all aquariums such as aquarium with other filters that provide good upper circulation or where the aquarium keeper desires less circulation in the upper aquarium. However in most aquarium applications this is desirable, especially where the Sponge Filter is the sole or primary filter for the aquarium. Of which despite popular anecdotal (but incorrect) assumptions, a sponge filter can actually exceed many other filters including HOB Power Filters and even many Canister filters for aerobic bio filtration. The key is the correct size Sponge filter and the quality of the sponge material; both of these attributes are generally missing with sponge filters used where incorrect assumptions were made (extensive controlled tests dating back to the 1990s have proven this). The addition of a Hydro Lift (or similar 1 inch tube) can be used with either air pump driven or power head (water pump) driven sponge filter applications. These lifts can also be easily cut to exact heights with a hack saw. Hydro Lift Extensions can also be used with multiple "Stackable" Sponge Filters such as the Hydro Sponge #5 Stackable, this can be useful for large deep tanks where multiple tiers of Sponges are added to keep up with high or increasing bio loads. 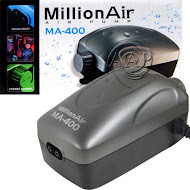 For an air pump to power your AAP Hydro-Lift, NOTHING beats the AAP Million Air Pumps for value.